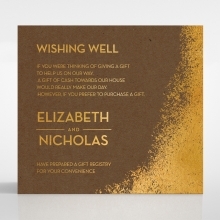 This modern design is enchanting and magical, taking you to another world with its fairy dust touches. 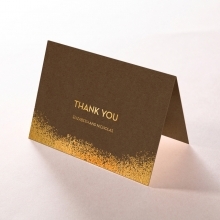 Dark craft paper cardstock is "dusted" with gold on the left edge. 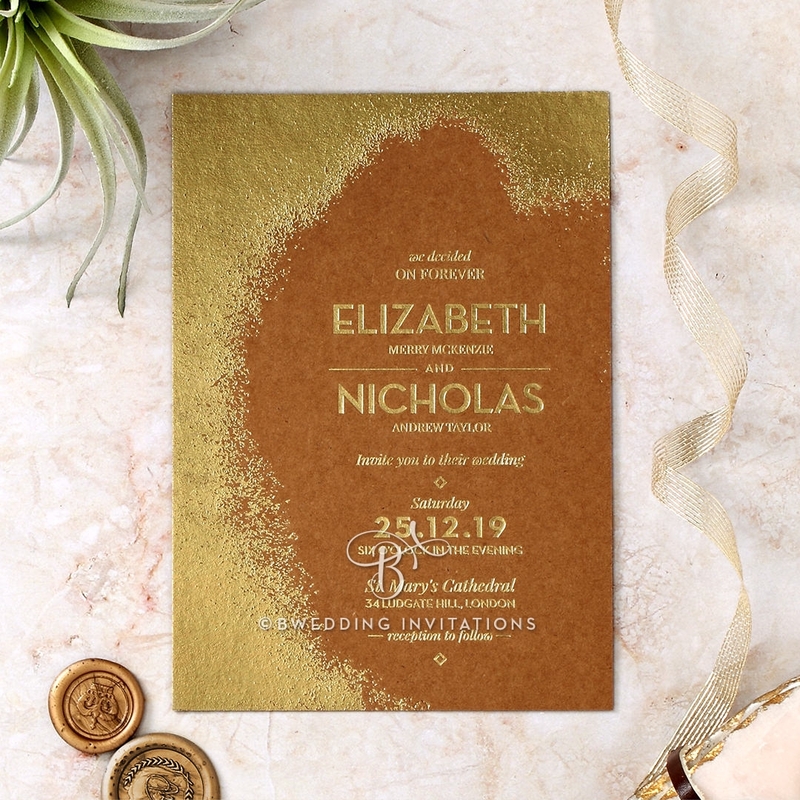 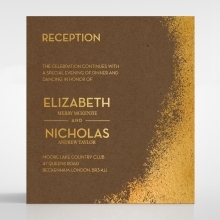 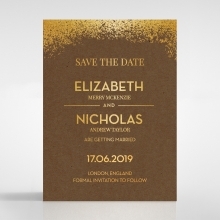 The hot foil stamped gloss gold will present your guests with an invite that will sparkle and shine back at them. 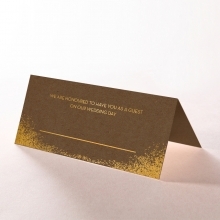 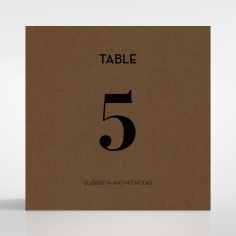 The wedding details are off-center, printed in matching gold foil. 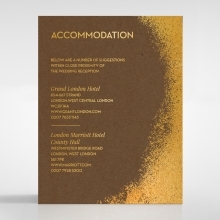 The matching Stationery Suite also has the foil stamping. 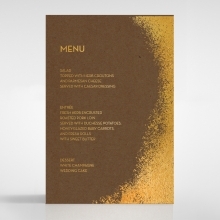 The fonts, layout, and content are all fully customizable. 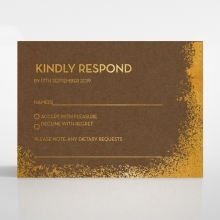 This invitation and its enclosures look wonderful with special ordered envelopes lined in the same gold foil. The paper has a smooth, mattfinish.